Nutmeg has a variety of health benefits besides adding it to cookies and pies. It calms and helps lower blood pressure and soothes digestive upset. Mixed with a neutral oil and used in a massage it eases joint pain and inflammation. Nutmeg also provides fast relief for diarrhea and toothaches. The therapeutic effects of nutmeg stimulates the cardiovascular system, promotes concentration, acts as ab expectorant, reduces joint inflammation and helps also with liver removing toxins. 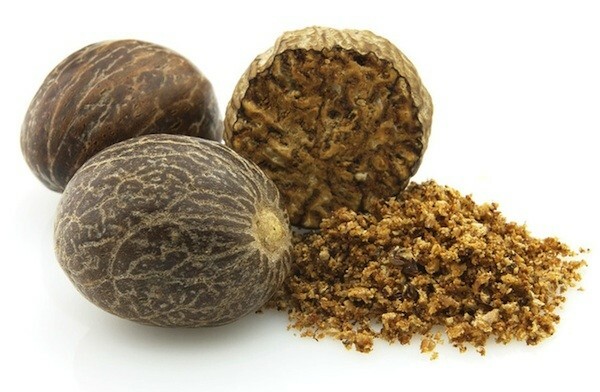 We sell whole nutmeg nut.